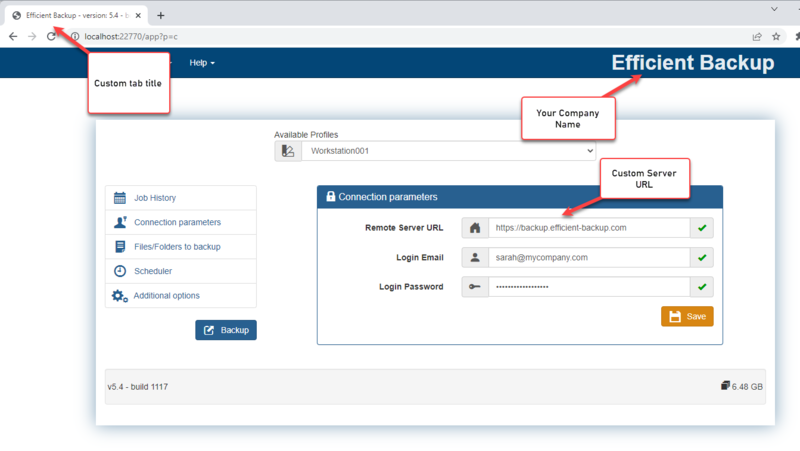 If you are a service provider, you might want to put your company name and logo on Syncrify client. Click the image on the right to see how a branded client looks like. Branding Syncrify client involves building a custom installer. Once branding is complete, your clients should download the installer for Syncrify client from your server instead of downloading it from Synametrics' web site. You must be using the ISP edition of Syncrify. Branding clients is not available in the Personal or Professional edition. The following occur in the background after you click the Proceed button. The Download client hyperlink that appears under the Quick Links section will get updated. From now on your clients should use this link to download client. We strongly recommend you test the newly created installer before allowing your clients to download them. Would be nice to fully modify the look of the client. Current look is not user friendly and looks pretty bad.